Yes folks it World Series time! I'm VERY happy. Those of you that know me know I have a deep love a baseball. The Texas Rangers and St. Louis Cardinals are in the world series. First game is going on right now as type this. The score is 2 to 3 Cardinals. The Cardinals actually just scored to make it 2 to 3. And my house is very much divided for this world series. Me, I love my Astros but alas they are not in the series, which leave me to root for the team that is, the Texas Rangers. Hubs can not and I repeat CAN NOT stand the Rangers, so he is pulling for the Cardinals. And because Lance Berkman is playing for the Cardinals R1 is pulling for them as well. 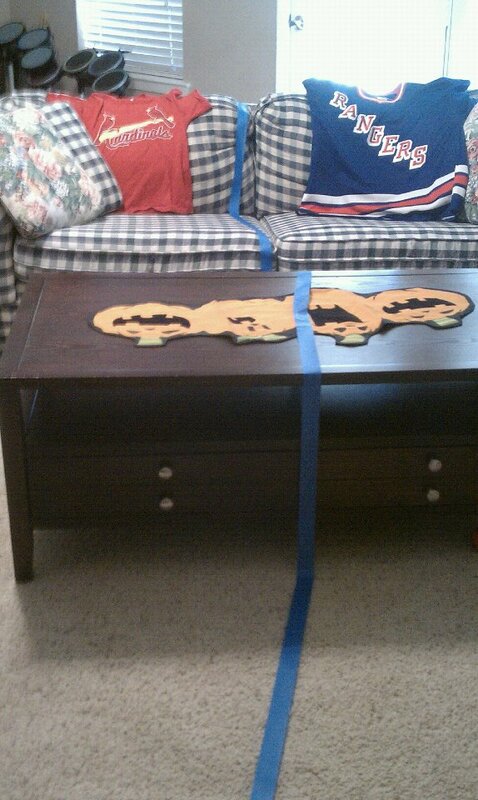 And well R2 he's gonna take his dad and brothers side so that really leaves just me cheering for the Rangers. And once the series is over the tape will come down and the house will be harmonious again. But for now GO RANGERS!!! Rangers lost to the Cardinals tonight. 2-3. It was a great first game. I'm ready for game 2! I'm with you in rooting for the Rangers! Not being in the same league as the Astros, I never had a hard time rooting for them when I lived in Dallas (except of course, when they played the Astros)! If the Astros really do switch to the American League, I'll have to reconsider!